An academic conference tackling the alarming rise in Islamophobia in the UK has had to be relocated after the London University College hosting the event gave in to far right Islamophobes threatening to demonstrate outside the venue. Birkbeck College has withdrawn the go-ahead it originally gave for the conference organised by the Islamic Human Rights Commission citing its inability to arrange sufficient security in time for the event this Saturday. The conference will now be held at an alternative venue. The turnaround came after calls were made on social media by Britain First, a xenophobic far right group which styles itself as the ‘British Resistance, to demonstrate at the event. Britain First is being supported by another extreme right wing group, Casuals United, an alliance of football hooligans from various clubs, formed to tackle what they see as growing Muslim influence in Britain. In recent months the groups have adopted a policy of using bullying tactics to force venues to cancel Muslim-organised events and intimidate Muslim communities. On Wednesday, IHRC staff who were on a routine site visit were dragged by college officials into an impromptu meeting to discuss the far right calls in which they were surprised to find local council PREVENT officer already in attendance. PREVENT is a key plank of the government’s CONTEST strategy which seeks to combat terrorism and is directed almost exclusively at Britain’s Muslim community. IHRC sees little reason for a council officer to be involved in a private matter between itself and the college. It seems odd that instead of tackling the immediate threats to a legitimate and peaceful event, the College appeared to be more interested in using the issue as an excuse to involve anti-extremism and radicalisation officials. In fact during the meeting both parties seemed to be more worried about the prospect of a counter-demonstration by an anarchist and anti-fascist student group. The police involvement has also fallen a long way short of what is required. We find it hard to understand why local police were only in contact with the College about the event and did not see fit to discuss matters with IHRC until after Birkbeck College’s decision to cancel. While IHRC believes that the safety of everyone is paramount it is not justifiable to allow threats and intimidation by a tiny minority to disrupt the normal flow of everyday life. The College has clearly bowed to Islamophobic pressure and may even have Islamophobic motives itself for cancelling the booking without sufficiently exploring other security options. The College even rejected IHRC’s offer to arrange its own security for the event. Birkbeck’s last-minute move threw the event into disarray and left IHRC scrambling to find an alternative venue, which will be announced shortly. The conference, which is being supported by 19 Muslim and non-Muslim organisations including Stop the War Coalition and Campaign against Criminalising Communities, is due to feature speeches by leading academics in the fields of race relations, Islamophobia, multiculturalism and securitisation, exploring and suggesting responses to the soaring levels of Islamophobia in the UK. 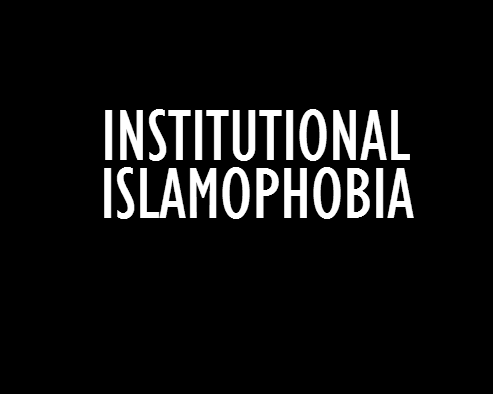 Islamophobia has become a mainstay of institutions’ dealings with Britain’s Muslims, stemming from increasingly Islamophobic discourse – created by media and politicians – that perpetuates bigotry towards Muslims. Recent government attacks on religious conservativism in Muslim education under the pretext of tackling extremist influences in schools, the introduction of yet more anti-terror legislation primarily targeting Muslims, the extension of the CONTEST anti-extremism strategy to more areas of Muslim life, and Islamophobic judicial and police responses to incidents all paint a disturbing picture of community under siege.